For decades, salespeople used this revolving card system to store customer contact information and other useful details—fodder for personalized conversations that would engage, resonate, and help maintain a successful business relationship. Fortunately, the sales process became more automated in the mid-1980s with database marketing, a revolutionary, digital form of the Rolodex, which, over the years, evolved to become today’s customer relations management (CRM) software. Now, IHRSA clubs of all sizes use CRM—offered by a number of IHRSA associate members—to automate and synchronize every facet of customer contact, including marketing, sales, customer service, and support. Using this software, you can learn more about your members and prospects, and store important facts that will help you anticipate what they may want in the future and satisfy their needs. Experts emphasize that using such customer data to personalize interactions with members can have a positive impact on the member experience, and as a result, the frequency of club use, member referrals, and retention. In other words, CRM can help you and your staff “manage” customers successfully. The Retention People (TRP), a customer experience management firm with offices in Bath and Somerset in England and Woodbury, NY, has taken CRM one step further. TRP’s Engage Suite gathers a tremendous amount of data and combines it with the company’s Net Promoter Score (NPS) program—its method of measuring how satisfied and loyal members are—to equip club staff to connect with members in the most appropriate and personal way possible. Albert explains the theory behind the company’s approach, along with IHRSA club owner Chris Stevenson, who describes how it works on a daily basis. TRP’s Engage Suite has three core modules—Interact, Digital, and Insight—which offer tools for reaching members at several points: before they come to your club, when they’re present, and after they leave. Inside the club, the Interact module connects to your club management software, letting your staff know which members are there and working out at any given time. Staff can walk around with a tablet and use the Interact software to identify any members they might want to approach for a specific, relevant reason. They could, for instance, search for those who are currently visiting on trial membership, or who have been identified as likely to cancel. Each interaction is logged in, so anyone using Interact knows how often individuals have been approached, and how they’ve responded. The software also will suggest several conversations to have, a valuable tool for helping everyone on your team initiate a dialogue that’s worthwhile. “Our research suggests that even people who look like they don’t want to be approached don’t mind as long as it’s a good conversation,” Albert says. A great example would be helping an individual set a goal. “A trainer approaches a member as they’re using a specific piece of equipment and suggests that they set a goal of 10 reps today and 12 at the next visit. Then, the trainer can follow up with that member, and ask about those 12 reps. Interact really can make you look smarter than you are,” he says. Outside of the club, TRP’s Digital module allows you to make automated, but informed, contacts to keep the conversation going. Messages are tailored to specific member groups to ensure they resonate. Finally, the Insight module enables you to collect comments, opinions, and feedback, and then turn them into actionable items for your staff. You also can survey your members to get an NPS to see just how loyal and engaged they are. The survey asks one simple question: How likely are they to refer people to your club? The member responds using a number from 0 to 10, and those responses are analyzed to compute your NPS. The result is a valuable metric that lets you see how well your club is doing, and how it compares to others in the industry. However, all of this begs the question: Is this overkill? Chris Stevenson, the founder and owner of Stevenson Fitness in Oak Park, CA, agrees. His 7,500-square-foot club, which serves more than 2,000 members, offers cardio, strength training, personal training, group exercise, and small group training. And Stevenson relies heavily on TRP’s Insight and Digital to improve his relationship with those members; it integrates with the Shape.net club management software he uses. When the club began using Insight, the club’s NPS was 77, a respectable score by any measure. But Stevenson wasn’t quite satisfied, so he set 80 as a goal. The club now regularly scores in the 80s and is striving to reach 90. However, Stevenson doesn’t rely on the numeric score alone; the comments that users provide along with their score are just as important, he says. He notes that Insight also is a great member engagement tool. “Everyone gets a response,” he says. People who are considered detractors (they’re not likely to recommend the club) or passives (somewhere in the middle) are asked for feedback. Promoters (who rate the club highly) are reminded that they’re welcome to share any feedback or suggestions at any time and review the club on Facebook or Yelp. These first-level messages are automated, but when members reply, personal communication takes over. “If someone says they hated a yoga class, we reach out and ask for more details. It creates a great opportunity for sincere, one-to-one engagement. Even if you can’t fix a problem, members still appreciate being heard,” Stevenson says. 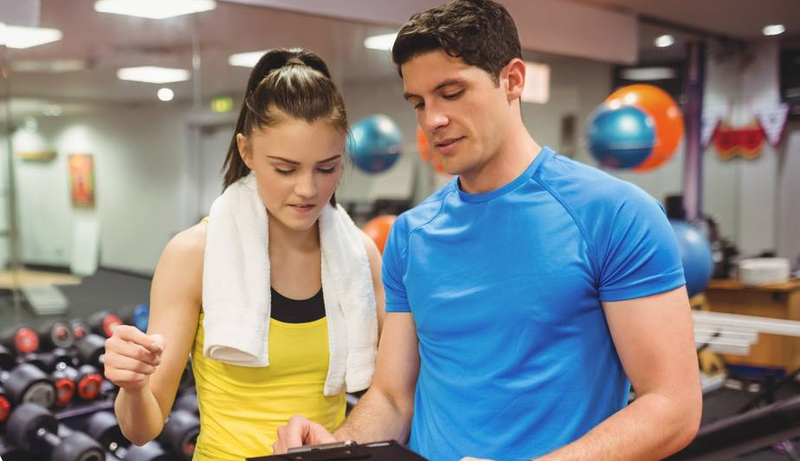 TRP’s Digital tool is another one that Stevenson Fitness relies on—specifically to reach out to members whose club usage has lagged. For example, the software automatically sends a message if someone who typically comes in twice a week hasn’t been in for more than a week, asking that member why they’ve been absent. Do they sometimes hear from people who want to cancel? Overall, Stevenson says TRP’s tools have worked so well that his staff now mentions them to prospects as a distinct selling point. The impact of customer engagement can’t be underestimated, he emphasizes. As Chris Stevenson attests, modern CRM—a real-time, intelligent Rolodex for the 21st century that’s automated, but offers a decidedly human and personal touch—can make a profound difference. Having a robust customer relationship management (CRM) system can help you improve the most critical aspects of your club's member experience. No two membership pitches should be alike. Learn how to identify prospects' needs and craft tailored-made tours that are sure to close.